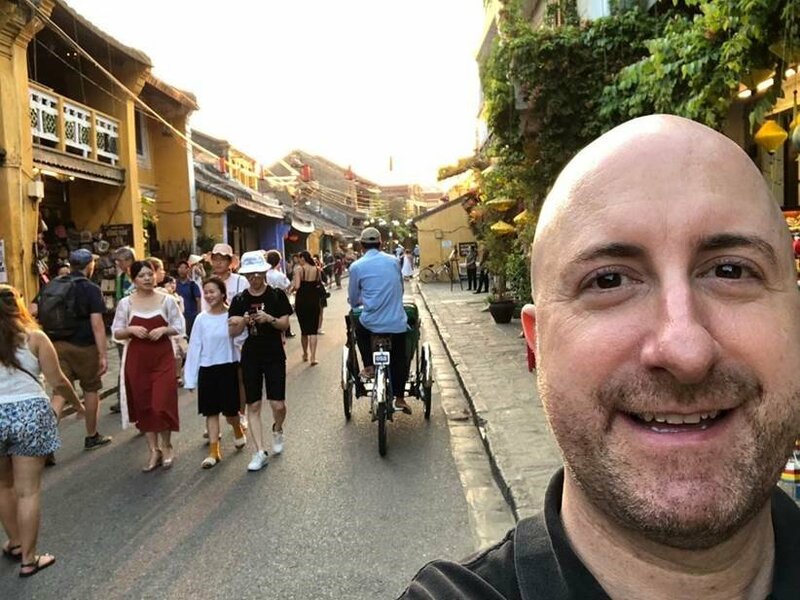 I thought you would so enjoy…this very personal and super fun travelogue (including photos) that Raun just sent to Samahria and me from Vietnam. Thank you Raun for continuing to bring the Son-Rise Program® to the world. Wow!!! PS: You really have to check out the photos below with Raun’s photo notations. 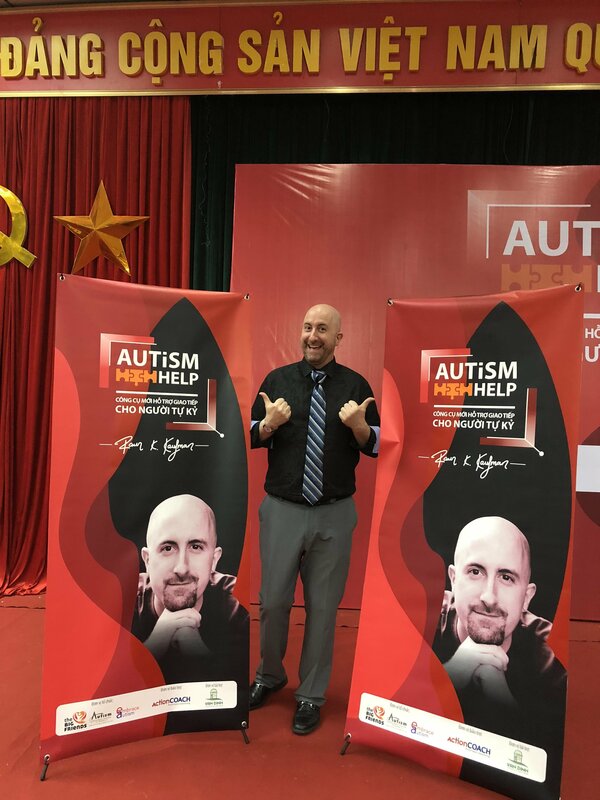 Just like what is happening in Vietnam, individuals have sponsored us to come to many different countries such France, Spain, Portugal, United Kingdom, Singapore, Malaysia, Philippines and now Vietnam! 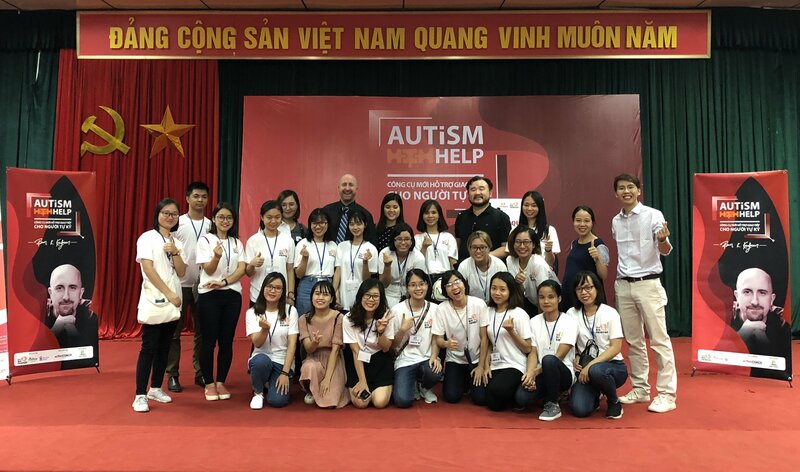 If this is something that you would like to create and sponsor in your country, please contact our Director of the Son-Rise Program, Kate C. Wilde at Kate@Autismtreatment.org. All is good here. Just a quick update on my adventures in Vietnam. My luggage didn’t make it here at first (they never put it on the plane, so I was sitting in London), which created some havoc, but when I flew from Ho Chi Minh city to Hanoi, they flew it straight from London to Hanoi, so I got it there the next day. Hurrah! Then, had to strip naked and stay in my room for the entire first day while the clothes I wore were being washed – impossible to re-wear anything without washing; everything had been soaked in sweat. It’s super-hot and humid outdoors and inside (even the airports, supermarkets, restaurants etc.). The first lecture had about 360 people. It went wonderfully. The people were so excited and open. We even got Son-Rise Program Start-Up registrations from that lecture. 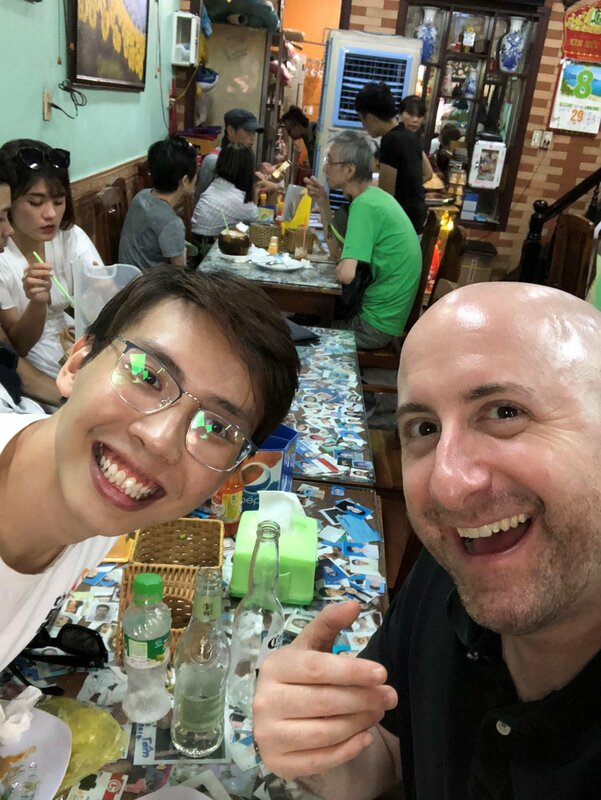 (Photo below): Me eating with Dat Lee, the 24 year old go-getter who was organizing my trip. (Photo below): Me standing between two handsomer versions of myself. 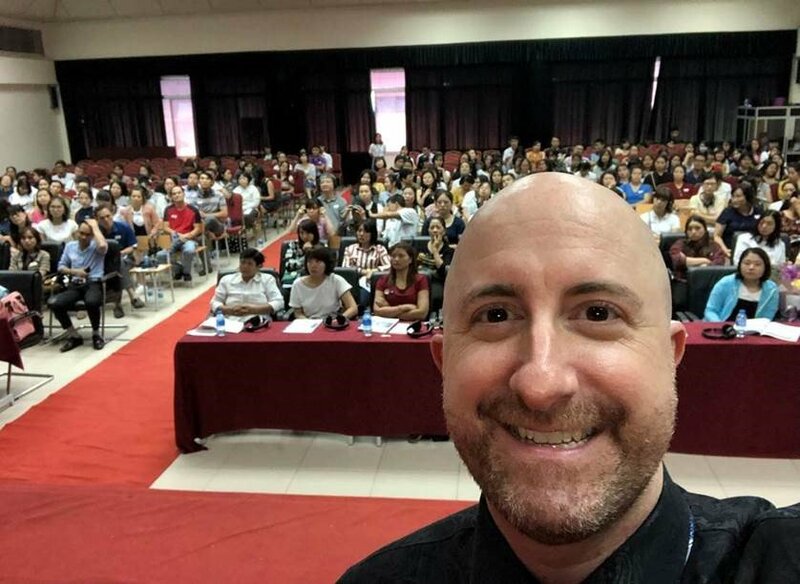 (Photo Below): Me, Dat and 30 people who originally knew nothing of the Son-Rise Program who volunteered for the Hanoi lecture.These people are amazing!! Dat got 650 volunteers in 24 hours, and he picked 30 per lecture. Incredible!!! I have a lecture tomorrow in Da Nang and then on Friday in Ho Chi Minh City. Da Nang is my favorite of the three cities (Hanoi, Ho Chi Minh City, Da Nang). The food here is yummy. Yay! !